Philip Shayne, a wealthy business man is a guy who possesses a lot of charm. This charm made Cathy Timberlake, an old fashioned country girl to go mad. She has found the man of his dreams and cannot think of any other guy apart from him. 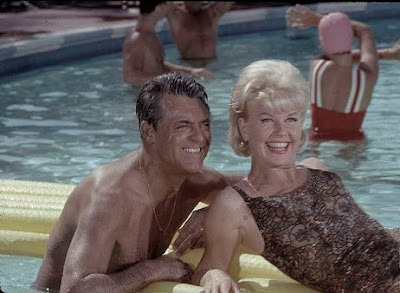 Philip Shayne, played by Cary Grant meets Cathy when his Rolls Royce splashes mud on her dress and later calls her up to apologise. After apologising in the office, he is quite impressed by her honest heart. He decides to take her for his meetings, wherein she intervenes and to his surprise manages to convince the other members to successfully negotiate a deal. Philip takes her out to a baseball match at the Yankees stadium. He owns a part of the team. We actually get to see baseball stars like ‘Yogi Berra’, Mickey Mantle and Roger Maris playing themselves getting thrown out for violating the rules. Although, Philip is very much interested in her, he has no plans of getting married and there comes a clash because of her background. She believes in the traditional norms of getting married and start family. While he is just looking for an affair. After much persuasion, she finally agrees to go on a holiday trip to Bermuda with him. She develops a psychosomatic rash on her body much to her disappointment and his frustration. To overcome the disappointment, she wants to repeat the Bermuda trip and hence reaches earlier than Philip. She drinks in order to calm her nerves, ends up drinking lots. When Philip arrives, he finds her in drunken state and she makes a fool of herself and to such an extent that she falls from the window. Dressed in pyjamas, she orders the hotel servicemen to take her to his room, while others her have a good laugh about it. In the end, she finally manages to convince him to get married and funnily in their honeymoon, he develops a rash. This movie also happens to be the last movie, where Cary Grant persuades a girl. In his next movie, Charade, Audrey Hepburn persuades him, as per Grant’s request because of 25- year age difference. 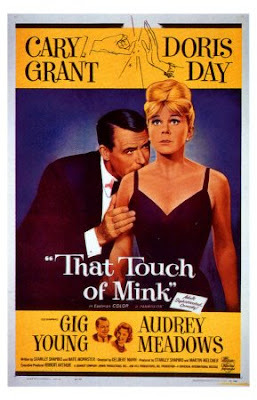 Released in 1962, That Touch of Mink was directed by Delbert Mann, was nominated for three Oscars in Best Art Direction, Best Sound and Best Screenplay & Writing – directly for the screen categories.